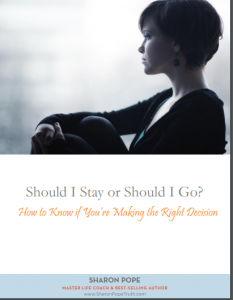 Are you unsure whether you should stay and fight to fix it or go and start over again? And Discover WHY Making a Decision Today Is The Wrong Idea. And I’ll share the questions they asked themselves to discover whether their relationship was really right for them.